Helms Alee's music is exactly the sort of mutant, fantastic hybrid that used to only occasionally erupt out of small, isolated scenes, uninformed by trends of the day — instead inspired by the band’s own collective contributions. The Seattle trio’s unique amalgam of metal, art rock, pop and punk is charmingly reminiscent of the fertile creativity that groups once had before the Internet seemed to instruct bands to only copy one another. 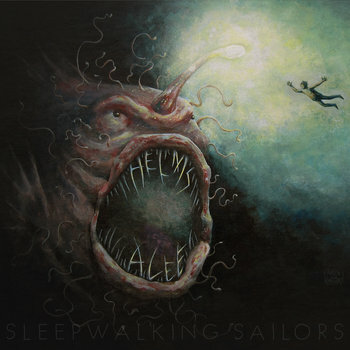 Helms Alee’s third album, Sleepwalking Sailors, sounds like many styles combined into one, and none of it concerned with any notion other than creating vital, urgent and uniquely characteristic music. Bassist/vocalist Dana James, drummer/vocalist Hozoji Matheson-Margullis and guitarist/vocalist Ben Verellen combine a vast array of ideas within a single song, while still sounding entirely cohesive. Their songs are undeniably heavy, but also freely roaming through icy post-punk and warm melodic haze at any given moment. Any given song can be pummeling one moment and then subtly shift into triply harmonies without the listener even realizing what has happened. "The weird thing about it," Verellen muses, "is that we've got three different people contributing lyrics, parts and melodies to each song. So, they end up being disjointed by our individual input. We spent 3-1/2 years writing the songs for this album, so it's thematically all over the place." Sleepwalking Sailors was recorded with engineer Chris Common (These Arms Are Snakes, Pelican, Chelsea Wolfe) in Seattle, with intentionally built-in limitations. "We recorded the album to tape in order to confine ourselves from ProTools refining every detail. We ended up with something that sounds really big, but also a bit more aggressive." Helms Alee's previous album Weatherhead was released in 2011 to much acclaim by their longtime label HydraHead just before it went under. Undaunted, and as a testament to the band's strong fan base, Helms Alee originally crowdfunded Sleepwalking Sailors, eventually raising an impressive recording budget. Upon hearing Common's early mixes, Sargent House quickly offered to bring the band onto their management roster and release the new album. Throughout the course of the album's creation, the band's independent aesthetic becomes clear: a dedication to truly representing themselves, regardless of trends and outside influence. Album opener "Pleasure Center" kicks off with churning riffs and staccato drums that repeat and morph in a constant build that's equal parts Gang Of Four as it is early Soundgarden. The slithering and perfectly meshed distorted rattle of James' bass with Verellen's climbing, chiming single notes on "Tumescence" lead off with Neurosis style heft, but soon give way to compelling minor-key vocal harmonies laid over the proceedings. Elsewhere, James' and Matheson-Margullis' even more pop-hook leaning vocal harmonies lend a transcendence to the proceedings. "Pinniped" pits near chamber-pop group vocal harmonies against screaming, wailing guitar blasts and thumping tom drum beats. Throughout the album, Helms Alee prove that their unique creative spark is its greatest asset in creating incisive and insightful music. 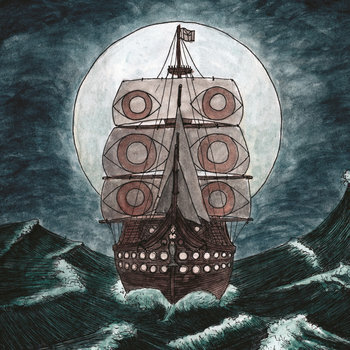 Sleepwalking Sailors was released worldwide on LP, CD and download on February 11th, 2014 via Sargent House.